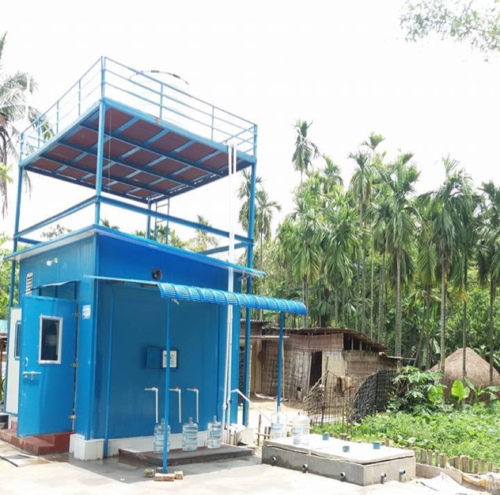 Drinkwell Water ATMs simplify complex water system management through mechanical, digital, and cloud-based automation thereby reducing cash leakage, water loss, and human dependency required to operate a community-based water system. 1. Consumers load credit onto a Drinkwell Card via either onsite payment with a local caretaker or via remote recharge facility through mobile money or dealer network. 2. 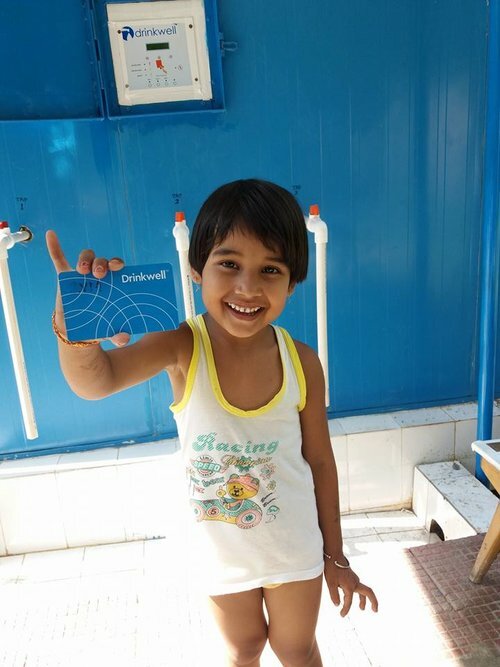 Consumers arrive at water system site and place Drinkwell Card on sensor once to view credit balance and a second time to begin dispensing of water (batch dispensing or continuous dispensing modes available). 3. If continuous mode, consumer removes Drinkwell Card from sensor to stop water dispensing. Remaining balance appears on ATM display. 4. Liters dispensed data transmitted from Water ATM to cloud-based IT backend via GSM connectivity viewable remotely on Smartphone/laptop through Drinkwell Portal. Cloud-based Water ATM portal enables real-time view of system utilization, Ls dispensed, revenue, and customer demographic data. 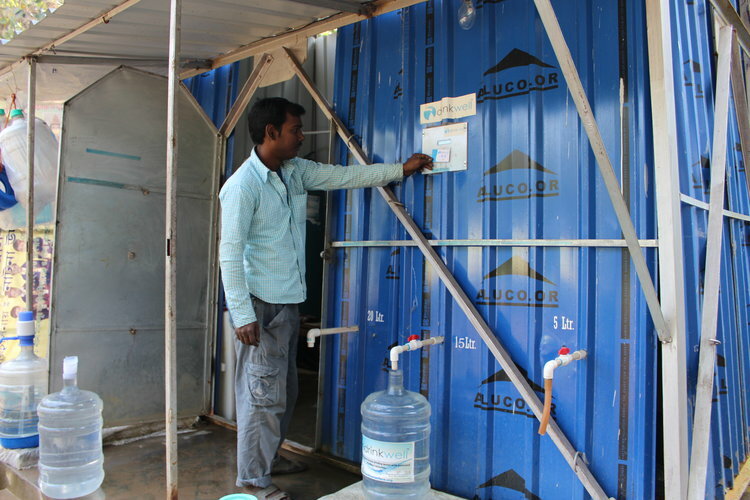 Provide safe drinking water to 5,000+ villages and urban areas impacting 5 million people by 2020.